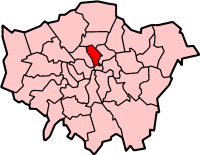 The London Borough of Islington is a London Borough. It is north of Central London. This page was last changed on 15 April 2013, at 02:39.